Instructive I know, but the LineRider style is cute. This entry was posted in China, Kid Travel Photos and tagged China With Kids, Toilet Humor on April 21, 2011 by wandermom. Spotted at a motorway gas station on the way into Bangkok. 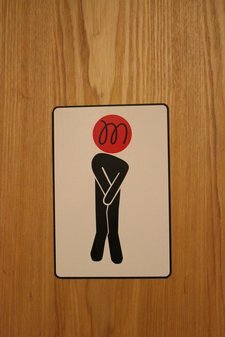 There were regular male/female toilet signs posted but some humorist had put this up on the wall just by the entrance to the men’s restroom. 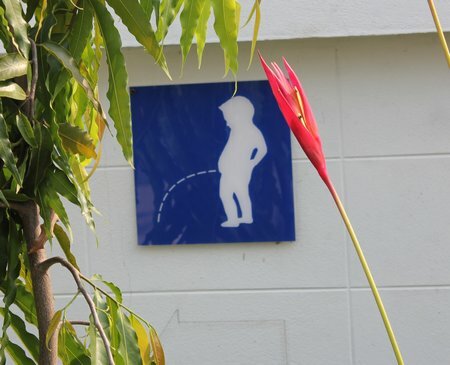 This collection of whacky toilet signs is building quite nicely. You can check out the set at WanderMom Toilet Humor. 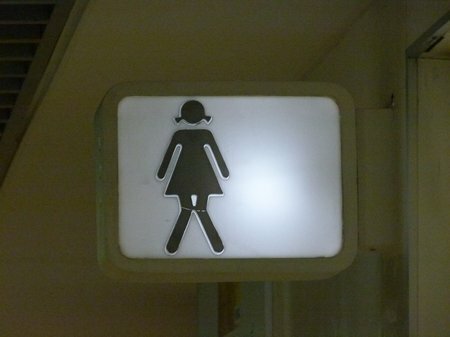 This entry was posted in Kid Travel Photos, Thailand and tagged Thailand, Toilet Humor on March 25, 2011 by wandermom. A standard “Peeping Tom” sign. At least with this one you had some indication of which gender was intended to use the W.C.! 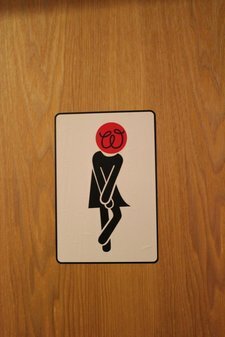 This entry was posted in Kid Travel Photos and tagged Photo Friday, Toilet Humor on February 17, 2011 by wandermom. 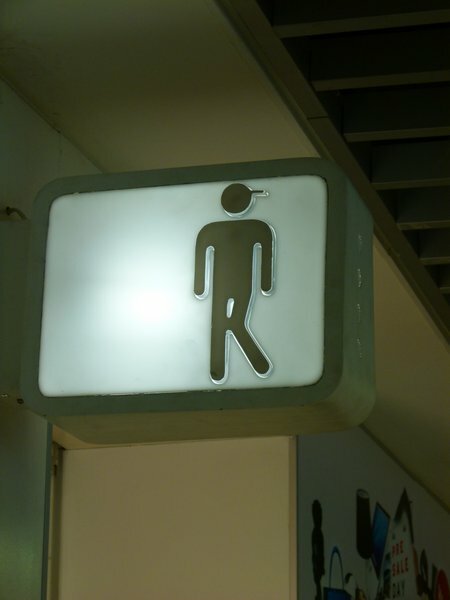 This entry was posted in Kid Travel Photos and tagged Toilet Humor on January 20, 2011 by wandermom. My boys fell over themselves laughing when they found this by the restrooms in a cafe in Santiago. (We’ve since seen it in other restaurants, cafes and the odd hostel). Oh, yes, the joys of traveling with teen boy (bathroom) humor. It’s a laugh-a-minute most days. Trust me. This entry was posted in Kid Travel Photos and tagged Chile, family world trip, Santiago, Toilet Humor on December 2, 2010 by wandermom.